Spring has sprung (well, maybe more like summer here in Florida!) and I can already tell everyone is happier with the sun out and shining. Currently, my client is planning to release a summer album, so we’re currently in the starting process and designing the cover art and finalizing all the information for the new release. It’s always exciting for me to work on a new release! We’re doing the design in house and already figuring out the layout, photos, title and front cover, when I quickly stopped and said – Wait! Do you have the required dimensions? What about the color mode or resolution? I really didn’t want all of these hours of work to go to waste when we try to upload or send out only to learn that the size isn’t right or something as small as the color mode should be CMYK instead of RGB. I’m so glad I checked in and brought it back because the designer wasn’t given any direction yet on resolution/color mode/or size. It is very important to have this information so that when you are ready to send to your distributor, you have it right the first time and you can get your album out there sooner than later. To help make your next album release a smooth and quick process, here are the details for the top digital distributors out there to give you a good idea of the industry standard. Resolution: 72DPI – 300DPI, however 300 DPI is preferred. Reviewing the top three digital distributors out there, the industry standard of a digital album cover and what you should give to your graphic designer is 1600X1600 pixels, JPG, RGB color mode and 300 DPI resolution. A quick tip from me to you – once you have your album cover completed, ask for the following sizes in your final artwork. This ensures you have the cover ready to distribute to journalists, bloggers, etc. A good rule of thumb is to double check your distributor to make sure you start out with the right dimensions to avoid having to go backwards or calling up your graphic designer with news that you need him or her to resize the artwork. I’ve been there and it’s no fun having to basically re-do artwork that you work so hard on to complete. And it goes without saying it causes a delay in getting your music out there to the masses! 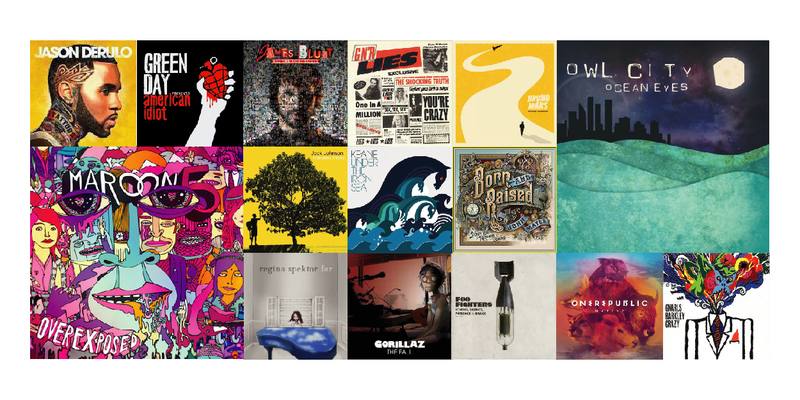 We are now well on our way to creating a great album cover that’s ready for distribution set up and these tips should help you get on your way with yours too!